We are fast approaching the Spring 2019 season! We will officially start Track and Field Practice on February 4, 2019 at 3:15; athletes will meet on the basketball courts outside the locker rooms. Practice should end by 5:00pm. If you haven’t already signed up for the season, please stop by and see Coach Boler in the PE office and sign up! Rio is excited to finally get an all weather track! We expect the new stadium to be ready by the end of February or early March. Rio Americano will be having its annual Spring Sports meeting on February 11th at 6:00 p.m. in the Performing Art Center (PAC). This meeting will cover general Rio sports info and then break out into a short meeting with individual teams. We look forward to seeing you there! With the season fast approaching please make sure your athletic clearance is current! You will not be able to participate if you have not been cleared! 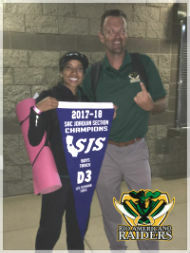 If you have already participated in a sport this year you will need to stop by the Athletics office and ask the Athletics Secretary, Janet Cutler, to please activate you for Track & Field. If you are participating in athletics for the first time this school year, you will need to sign up on www.athleticclearance.com. You can find instructions on the clearance process here. If you need to have a physical and can’t get a timely appointment with your doctor, Dr. Sockolov on Scripps Ave. (916-927-1114) takes walk in appointments for Rio Athletes daily at 4pm at a reasonable price (we believe $40). We are currently working on finalizing our season meet schedule. The preliminary schedule is currently available at athletic.net. Please note, not all athletes participate in every meet. Many of the meets are invitational or event specific meets which have entry requirements. All athletes will participate in the CAL League meets and CAL Championship meet. We will have a finalized meet schedule in the near future which will indicate which meets are all athletes or invitational only…please stay tuned. We are working on developing a distribution list for weekly email communications as well as use of the Remind App to keep you informed. Please visit the 2019 Track and Field communication page and sign up to be on our communication list. We will be using a weekly email as well as our website at riotrackxc.com for updates. The Remind platform will be used for time sensitive communications! We are looking forward to a fun and successful 2019 track season! This entry was posted in Communications, Rio Athletics, Track & Field and tagged 2018, Communications. Bookmark the permalink.